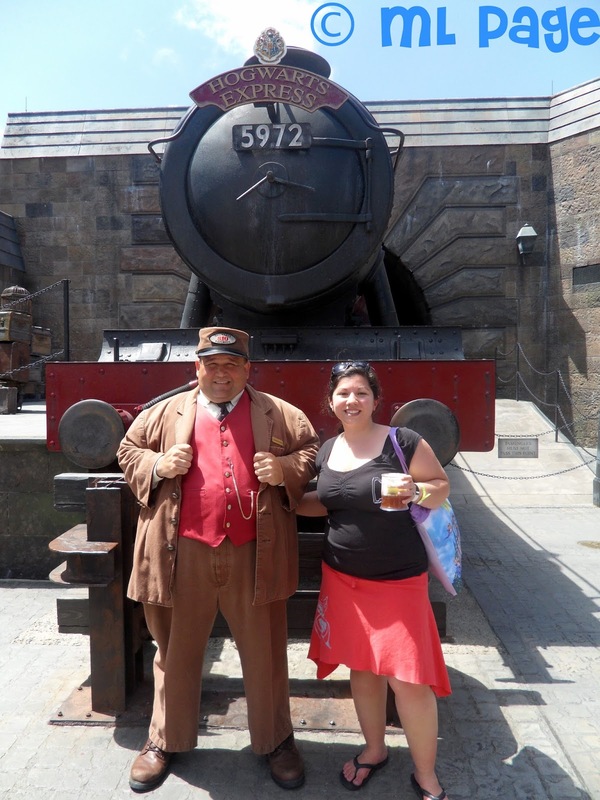 Wizarding Week continues with a stop for a photo op! When you stop for a visit at the Wizarding World and you enter Hogsmeade Village there parked right out front is the Hogwart's Express. And guess who you can find out front for meet and greets? The conductor himself!